By Keith Cowing on November 20, 2018 6:03 PM. "In addition to spurring problems for the car company Tesla, Elon Musk's puff of marijuana in September will also have consequences for SpaceX. On Tuesday, The Washington Post reported that NASA will conduct a "safety review" of both of its commercial crew companies, SpaceX and Boeing. The review was prompted, sources told the paper, because of recent behavior by Musk, including smoking marijuana on a podcast. According to William Gerstenmaier, NASA's chief human spaceflight official, the review will be "pretty invasive" and involve interviews with hundreds of employees at various levels of the companies, across multiple worksites. The review will begin next year, and interviews will examine "everything and anything that could impact safety," Gerstenmaier told the Post." 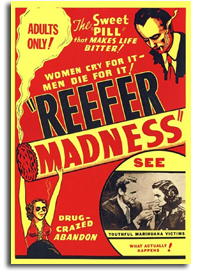 "The review was prompted by the recent behavior of SpaceX's founder, Elon Musk, according to three officials with knowledge of the probe, after he took a hit of marijuana and sipped whiskey on a podcast streamed on the Internet. That rankled some at NASA's highest levels and prompted the agency to take a close look at the culture of the companies, the people said." Keith's note: Its good that NASA wants everyone in the human spaceflight family to be safe and productive. Alas, NASA has run out of things to blame its own internal failures on so they go after two external partners to see if there is anything they can dig up. The net result will probably be a delay to Boeing and SpaceX launches which will make SLS delays look less bad, I guess. Imagine what a similar internal scrutiny of NASA SLS/Orion employees would reveal. Will NASA and SLS/Orion staff at equivalent levels be queried about their on-the-job and off-time habits? It is rather ironic that NASA's human spaceflight program is this uptight about a podcast (one that includes mention of behavior that is legal in California) when the entire NASA senior management has been drinking the Koolaid for decades ("Don't worry - be happy"). SpaceX can reuse rockets and learned how to do so at a fraction of what it would have taken NASA to do so - if they even knew how, that is. NASA has no rockets to reuse and they spent a billion dollars to make reusable shuttle engines disposable. SpaceX needs 7 launches before people can fly. But NASA will launch crews on their second SLS flight and they put crews back on Soyuz months after a booster malfunctioned. Who cares what SpaceX or Boeing may be smoking. I want to know what NASA has been smoking. By Keith Cowing on January 11, 2018 8:42 PM. "The report, released Thursday, is based on the panel's 2017 fact-finding and quarterly public meetings; "insight" visits and meetings; direct observations of NASA operations and decision-making processes; discussions with NASA management, employees and contractors; and the panel members' own experience. "It is clear to the panel that NASA is at a critical juncture in human spaceflight development and that this is a time to retain focus on program details; to maintain a sense of urgency while not giving in to schedule pressure and to continue with program plans without neglecting, shortchanging, or deleting program content essential to safety and mission assurance," said ASAP Chair Patricia Sanders. The report reiterates the need for constancy of purpose as NASA is on the verge of realizing the results of years of work and extensive resource investment." By Keith Cowing on December 12, 2016 10:01 AM. Keith's note: According to sources at NASA MSFC the contractor performing software safety tests found massive errors in the SDF test cases (no hardware testing, just software). The quality check of the test cases was given a stand down order by George Mitchell. Mitchell is Andy Gamble's deputy on SLS flight software safety. Mitchell had already told the contractor that they were not allowed to impact the testing or ask for re-testing. Further, he said that these tests had already been accepted as successfully verifying the flight software requirements. In other words the issues raised by NASA MSFC employees about SLS flight software testing are officially moot. By Keith Cowing on October 31, 2016 11:08 AM. "Upon the upcoming retirement of Teresa Washington, I am pleased to announce the appointment of Marcus Lea to the Senior Executive Service (SES) position of Director, Office of Human Capital (OHC). As OHC Director, Mr. Lea will be responsible for the entire scope of the Center's workforce strategy and planning, organization and leadership development, academic affairs, training and incentives, federal labor relations, and employee services and operations." 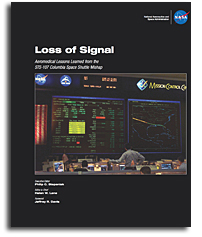 Continue reading SLS Flight Software Safety Issues at MSFC (Update). By Keith Cowing on January 25, 2016 4:58 PM. "[Space workers] need the consequent inescapable ache of fear and the gnawing of doubt that keeps asking, over and over, if they've covered all angles and done all they can. And if their stomachs do not knot up, and mouths go dry, as they confront such decisions perhaps they need new jobs. They do not need comforting myths about "valuable sacrifices" and "space-is-very-very-hard" rationalizations for the failures of individuals and teams. And most of all, they do not need more human sacrifices to remind them of things they knew, but somehow allowed themselves to forget." By Keith Cowing on June 11, 2015 12:30 AM. "Today at 10:27 a.m. Central time during the routine testing of communications systems between the Soyuz TMA-15M spacecraft and the International Space Station (ISS), Soyuz thrusters activated inadvertently which led to a slight change in the orientation of the ISS. Actions were immediately taken to reorient the ISS. There was no threat to the crew or the station itself, and the issue will have no impact to a nominal return to Earth of the Soyuz TMA-15M on Thursday. Roscosmos specialists are determining the cause of the incident. Once more information is known, additional information will be provided." Keith's note: Hmmm ... rocket engines on a spacecraft just fire for some unknown reason, alter the ISS orientation such that contingency measures need to be taken and ... that's it: stay tuned? When I worked at NASA something like this in a safety review would have justifiably been a cosmic issue of epic proportions. Not any more, it would seem. I guess there will be some telecons and some Powerpoint slides. By Keith Cowing on May 29, 2015 4:00 PM. Great blog on courage and dissenting opinions. Leave a comment and be a part of the discussion! https://safety.jsc.nasa.gov/"
Keith's note: Oh well. Too bad no one outside of the NASA JSC firewall you can see this blog (jsc-sma-a02.ndc.nasa.gov 139.169.149.20) about "courage and dissenting opinions". By Keith Cowing on March 26, 2014 1:14 AM. "The next trio of crew members destined for the International Space Station is now looking forward to a Thursday arrival at the orbiting laboratory after their Soyuz spacecraft was unable to complete its third thruster burn to fine-tune its approach." "Three crew members representing the United States and Russia are on their way to the International Space Station after launching from the Baikonur Cosmodrome in Kazakhstan at 5:17 p.m. EDT Tuesday (3:17 a.m. on March 26 in Baikonur)." Marc's Update: The first additional burns have been completed successfully for the 34 orbit rendezvous. According to Space Station Mission Operations Integration Manager Kenny Todd "everything looks real good". Continue reading Engine Problem Delays Soyuz Arrival at ISS. By Keith Cowing on January 17, 2014 10:09 AM. "SUMMARY: This is an amended version of NASA's earlier Federal Register Notice (13-153) previously published on December 23, 2013 (78 FR 77501). A USA toll free conference call number has been added to SUPPLEMENTARY INFORMATION." "Notice anything missing? NASA is not offering Webex or dial in access to these meetings - something that the NAC has been offering for the past several years for its activities (these three are non-NAC committees). Several of these committees have had remote access before. By denying such access to these meetings, NASA is deliberately inhibiting the the public's ability to observe these meetings thus decreasing openness and transparency - something that all government agencies have been directed to do." By Keith Cowing on January 31, 2013 9:05 PM. "When NASA started flying shuttles again, Hale told the new team of mission managers: "We are never ever going to say that there is nothing we can do." NASA developed an in-flight heat shield repair kit. ... Hale said he is now writing about the issue because he wanted future space officials not to make the mistakes he and his colleagues did. The loss of the Columbia astronauts -- people he knew -- still weighs on Hale. "You never get over it. It's always present with you," Hale said. "These are people I knew well. Several of them, I worked closely with. I was responsible for their safety. It's never going to go away." By Keith Cowing on February 4, 2012 11:47 AM. "Six months before the space shuttle Challenger exploded over Florida on Jan. 28, 1986, Roger Boisjoly wrote a portentous memo. He warned that if the weather was too cold, seals connecting sections of the shuttle's huge rocket boosters could fail. "The result could be a catastrophe of the highest order, loss of human life," he wrote. The shuttle exploded 73 seconds after launching, killing its seven crew members, including Christa McAuliffe, a high school teacher from Concord, N.H."
By Keith Cowing on November 12, 2010 7:52 AM. "While the mishap plans we reviewed appropriately identified roles and responsibilities for managing contingency actions, NASA has not established training requirements for Interim Response Team members. In addition, we found that training requirements for Interim Response Team members in the Launch Services Program's mishap plan were inconsistent with mishap plans developed by Kennedy Space Center, the Science Mission Directorate, and the Exploration Systems Mission Directorate. We also determined that none of the 16 safety and mission assurance personnel assigned as Kennedy Interim Response Team members during the Orbiting Carbon Observatory (OCO) and Lunar Reconnaissance Orbiter/Lunar Crater Observation and Sensing Satellite (LRO/LCROSS) launch missions had completed all of the required training included in the mission-specific mishap plans, and only 3 of the 16 had completed the "Introduction to Mishap Investigations" training course required by the Kennedy Mishap Plan." Tug of War Over Commercial Space Safety? By Keith Cowing on March 19, 2010 5:53 PM. "Congress hasn't yet voted on White House proposals to outsource manned space flights to private enterprise, but the concept already is prompting a bureaucratic tussle over which federal agency should be responsible for ensuring the safety of such flights. The Federal Aviation Administration believes it should be the agency in charge, while National Aeronautics and Space Administration believes the flights fall under its jurisdiction. The dispute came into public view Thursday during a hearing of a Senate Commerce, Science and Transportation subcommittee. The panel's chairman, Democratic Sen. Bill Nelson of Florida, home to thousands of NASA jobs, indicated that he views the space agency as the final arbiter of astronaut safety." By Keith Cowing on March 9, 2010 10:31 AM. "Joseph R. Fragola, a safety consultant, said the review had found no critical flaws for Constellation. "Money is the problem," he said. "It's not technical." Bolden on Risk: Quit Treating American Citizens "As if They are Children"
By Keith Cowing on January 17, 2010 12:39 AM. 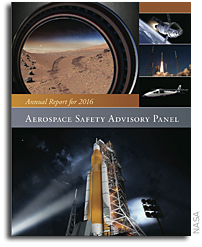 "The Aerospace Safety Advisory Panel, or ASAP, a congressionally mandated group of independent experts established after the 1967 Apollo 1 fire, has released its 2009 annual report." ASAP Public Meeting First Quarter 2009, page 5-6: "Acknowledging that General Bolden raised an important point, Admiral Dyer commented that the ASAP would recommend almost a new communications genesis. 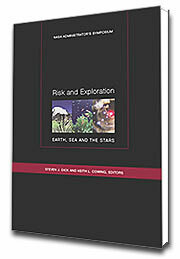 The ASAP suggested that the new Administration and the in-bound Administrator take time to consider a new approach that would explain not only the level and range of risk associated with space exploration, but also the importance of the work, the reward that justifies the risk, and the acceptance of that risk by willing and knowledgeable astronauts. The public discourse thus would be more direct and clearer, with less interpretation required. General Bolden agreed, contending that American citizens can handle difficult issues, so NASA should quit treating them as if they are children who do not understand, instead bringing them in as partners." Keith's note: Wow. If Bolden means to attempt to do this as Administrator, this would be quite an astonishing accomplishment i.e. treating "American citizens as partners" in what NASA does - and how it does it. Go for it Charlie. By Keith Cowing on January 15, 2010 12:57 PM. "A man in an astronaut suit stood outside the Smithsonian National Air and Space Museum Thursday morning. Normal enough, given the contents of the building before him. But he was not promoting an exhibit, nor was he affiliated with the museum. He and a group of People for the Ethical Treatment of Animals activists were brandishing signs and distributing pamphlets protesting a NASA program." By Keith Cowing on May 7, 2008 12:31 PM. "Although the technical investigation will take weeks to resolve, NASA and Russian engineers have come to several credible preliminary conclusions. And internal NASA documents, such as "15S Ballistic Entry Outbrief" by George Kafka, chief of the Safety & Mission Assurance Directorate for the ISS program, reveal a plausible idea of what probably happened." By Keith Cowing on April 22, 2007 10:00 AM. "The gunman was able to take a snub-nosed revolver past NASA security and barricade himself in the building, which houses communications and tracking systems for the space shuttle, authorities said." Editor's note: The more I think about this, the more I can't fight the urge to comment. Someone drove onto JSC property with A LOADED GUN and KILLED SOMEONE. This happened days after the Virginia Tech slaughter and NASA is now going to re-evalute its security polices? Gee, it's about damn time, Mr. Saleeba. Something sure ain't working properly. The word incompetence (on someone's part) comes to mind. Metal detectors have been known to detect guns. Car searches have been known to find prohibited items. More importantly, people are under enormous stress at NASA these days with programs being shut down and many people certain to loose their jobs. Someone needs to be paying much more attention to this as well. Treating the symptoms is not enough. NASA to needs to recognize - and threat - the cause(s) as well. Comments? Send them to nasawatch@reston.com. One note: for those of you who are utterly convinced that additional screening and metal detectors could never work at NASA, I invite you to come up to Washington DC. Everywhere you go there are security scans and detectors. It has been like this for years - even before 9-11. Indeed, everyday every single visitor to the National Air and Space Museum goes through a metal detector and has their bags searched. That's tens of thousands of people every day - and most of these visitors are novices in terms of being scanned and searched. Alas, even though there are metal detectors at NASA HQ entrances, regular (badged) employees are not required to go through them. Only visitors are. NASA has the tools in place but only uses them to partial effect. As for all of you who are dumping on me for suggesting that every person entering JSC be screened and and their car searched every day, guess what? I never said that! Read this post again. But since you folks seem to want to discuss that topic, I wonder what would be easier to do: screen every one entering a facility - with one landlord - a facility with vast amounts of land, large parking lots, and a small number of controlled campus entrances (JSC) -- or -- scan the same number of people entering hundreds of government offices and buildings every day in Washington, DC. It is not impossible, folks. You just do not want to be inconvenienced in the same way that we are up here in Washington every day - and that is certainly understandable. Alas, everyone seems to be trying to out do the previous person in saying how impossible enhanced screening would be at NASA. I am also rather startled that so many responses suggest that nothing can be done and that it should simply be assumed - and accepted - that people can - and will - carry guns to work at JSC. Continue reading NASA Feedback: Security at NASA: Very Broken. By Keith Cowing on February 25, 2007 4:21 PM. "Given the recent problems Lisa Nowak experienced - problems that emerged only months after she flew on a Space Shuttle mission - questions have arisen as to how NASA might deal with an individual who exhibited problems during a mission - as well as how to catch such problems on the ground ahead of time. The following interview was conducted with NASA's Chief Safety and Mission Assurance Officer, astronaut Bryan O'Connor in April 2006 - a few months before Lisa Nowak's space shuttle mission to the International Space Station. As such, his thoughts certainly represent his recent thinking about safety. As such, it is somewhat disconcerting to read a recollection wherein O'Connor talks about adding a combination lock to Space Shuttle Columbia's middeck hatch on STS-40 in 1991 due to concerns over the competency of several payload specialists. Moreover, he repeats several times that he thought this whole story was "humorous" and "funny"." By Keith Cowing on February 9, 2007 12:07 AM. NASA Strategic Management Council Meeting: Who Decides About Taking On Risk? "Griffin sees no institutional element as having veto power; he is not willing to cede the authority of the administrator to any single organization or manager. He does not want to put the Agency is the position where it can be brought to a halt by a single manager whose risk tolerance is out of bounds with the rest of the leadership. Griffin is not limiting the question to astronauts. He posed the question: how does NASA decide whether an activity will or will not be authorized?" By Keith Cowing on December 16, 1996 5:18 PM. 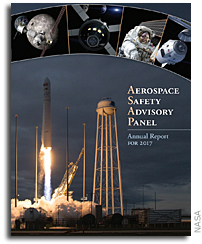 At the request of the President of the United States through the Office of Science and Technology Policy (OSTP), the NASA Administrator tasked the Aerospace Safety Advisory Panel with the responsibility to identify and review issues associated with the safe operation and management of the Space Shuttle program arising from ongoing efforts to improve and streamline operations. These efforts include the consolidation of operations under a single Space Flight Operations Contract (SFOC), downsizing the Space Shuttle workforce and reducing costs of operations and management. 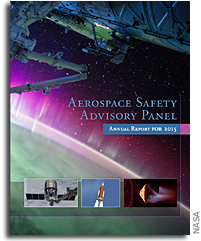 Continue reading Aerospace Safety Advisory Panel Review of Shuttle Program Risks. This page is an archive of recent entries in the Safety category. Russia is the previous category.